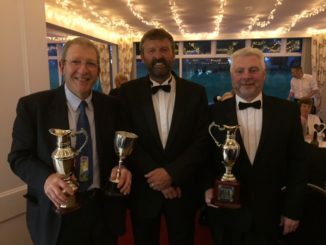 LYME Regis professional Kieron Fowler (pictured left) was presented the award for being the leading Professional Golf Association Assistant in year two of the training in the South West. 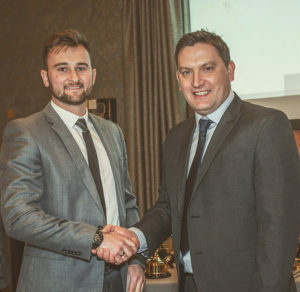 The award, which is for the assistant who achieved the highest grades in exams and coursework throughout the year, was presented the award at the PGA South West AGM at Woodbury Park Golf Club. Fowler said: “Education has never been a strong point of mine, so I was over the moon to hear that I had received the award. I worked hard in year one and missed out by a few places, so I was determined to win it the second year. 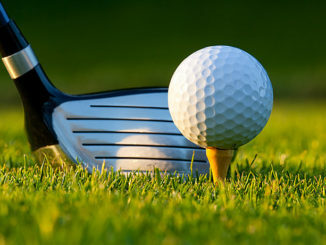 “Balancing studying, playing tournaments, coaching and working in the professional shop at Lyme Regis Golf Club has been hard, but I worked hard on my time management, which has obviously paid off.